Prof Baffour Agyeman-Duah, Chief Executive for the John Agyekum Kufuor (JAK) Foundation, says the recent exposé by investigative journalist, Anas Aremeyaw Anas, shows the extent of moral decadence in the country. According to Prof Agyeman-Duah, some people who enter public service in recent times only do so to enrich themselves through corrupt and other dubious means. 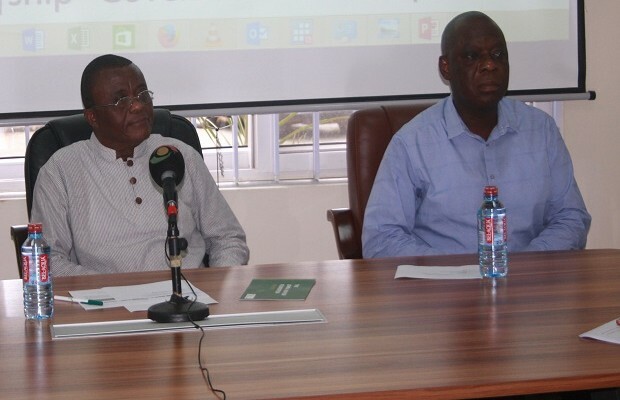 Speaking at the launch of Kufuor Scholars’ Program (KSP) in Accra yesterday, the Foundation’s boss said it was about time the orientation of the youth was changed to enable them live a more upright life if they land themselves in public service. This, he said, was the main aim of Kufuor Scholars’ Program which would provide a specialized 3-year transformational leadership preparation for the Ghanaian youth. “The current case with our judiciary is an excellent example of the extent to which our nation has decayed in terms of our morals and integrity in public life. What we are hoping to do with these students is to give them an orientation that would enable them live a more upright life if they land in public service. The expectation is that after you have gone through this program for 3 years, your mind would have been made in a certain way that you won’t easily succumb to bribe,” he said. KSP, which was instituted by JAK Foundation, targets the youth in Ghanaian universities, who have successfully completed first year of studies – Level 100 – with the aim of primarily adding value to the formal education at the tertiary level by providing specialized orientation through programme mentorship, skills and experiential activities as well as annual stipends. “The programme is expected to produce leaders imbued with a strong sense of patriotism; leaders who are innovative, problem solvers, creative thinkers and knowledgeable in their respective fields of endeavour,” Prof Agyeman-Duah stated. He added that the lucky 15 Ghanaian university students from around the country who are selected for the KSP would receive a stipend of GH¢10,000 over three years. He disclosed that the students would occasionally meet with former president Kufuor as he attends to special guests to instill the spirit of patriotism among the students. “To be eligible for the Kufuor Scholar Program, one must have demonstrable leadership interest and experience in school, community or at the national level; and must demonstrate nationalistic orientation and capacity to promote political and religious tolerance, and ethnic co-existence for national development. But you must not be more than 35 years at the time of application,” he said. Tertiary students who have completed their first year course and wish to apply are supposed to complete an online application form from the foundation’s website: www.Kufuorscholars.org and upload the required documents before October 18.